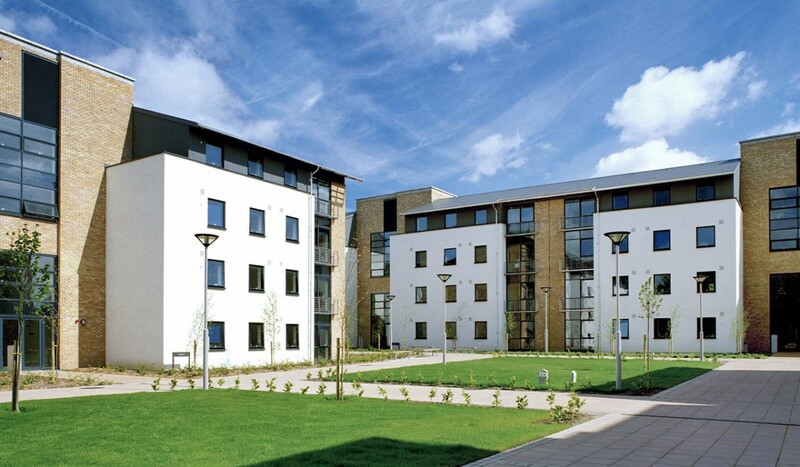 BKD Architects were commissioned in 1989, as part of a limited competition, to design student accommodation for the Belfield Campus. This first phase is called Belgrove Residences. Subsequently another phase, Merville Residences was constructed in 1993 and a third phase is under construction which will be completed in 2002. All three phases of this development follow the same design logic, that is, to cluster 3 or 4 storey buildings around a series of linked courtyards or “quads”. All apartments are accessed from, and living areas overlook the “quad”, so helping a sense of community develop within each cluster. 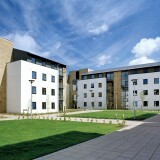 Students live in apartments of 3 to 6 study-bedrooms sharing living, kitchen/dining areas. In Belgrove and Merville students share bathrooms, while the latest phase provides en-suite wc/ washing facilities to each study bedroom.